It was an exciting week as Sekope Lutu Latu and the Kahuku Red Raiders, as they faced off against No. 1 ranked Bishop Gorman, with BYU recruit Jacob Isaia. The Gaels from Vegas came out on top, winning 35-7. In another national game Apu Ika and the East High Leopards defeated California powerhouse De La Salle on the road, 23-21. The win was doubly impressive as De La Salle has only lost 15 games in the last 27 years. Both East and Bingham High Schools are getting significant national attention right now. 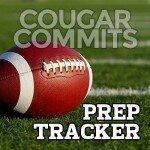 There were also several individual performances of note among the Cougar committed. 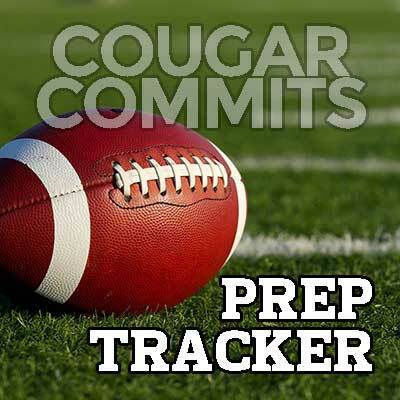 At least four Cougars got on the scoreboard this weekend, including: Donovan Hanna (one TD reception), Jackson McChesney (one rushing TD), Ryan Rehkow (one field goal), and Brandon Kaho (one rushing TD, one passing TD). Tyler Manoa had his second sack of the season. Game summaries for each of the commits are listed below. Tanner Baker (TE/DE, Alatoona HS, @TBAKE32). The Allatoona Buckaneers (1-3) got their first win of the season with a 52-12 beatdown over South Cobb. Baker has still not yet been cleared to play due to a knee injury. TJ Buchanan (WR, Elgin HS, @BeastTj3). The Elgin Wildcats (1-3, 1-1) fell to Georgetown 62-20. Tariq had six receptions for 50 yards (8.3 avg) and had another 54 yards on four kickoff returns. Season totals: 20 rushes for 141 yards, 3 TD, two 2PT CONV; 16 receptions for 205 yards, 1 TD; 8 KR for 112 yards (14.5 avg); 4 PR for 66 yards, 1 total tackles (1 solo, 0 assisted). Ben Bywater (ATH, Olympus HS, @benbywater5). Olympus (4-1) had an emphatic 49-0 win over Cyrus this weekend. Bywater’s stats are not yet available. Season totals: 51 carries for 224 yard and two TDs; 7 receptions for 62 yards; 23 tackles, 1 sack. Donovan Hanna (TE/DT, American Leadership Academy; @donnyd119). The ALA Patriots (4-1) defeated Northwest Christian 24-21. Hanna had four receptions for 21 yards and a touchdown. Season totals: 21 receptions for 339 yards, two TDs; one carry for three yards; 7 tackles (4 solo, 3 assisted); 2 TFL; 1 sack; 2 punts for 72 yards. Jackson McChesney (RB, Lone Peak HS, @jackson21cheese). Lone Peak (4-1) defeated Riverton 48-0. McChesney had eight carries for 117 yards and a touchdown. Season totals: 35 carries for 203 yards, 4 TDs; 12 receptions for 171 yards. Connor Pay (OT/DT, Lone Peak HS; @cpay73). Lone Peak (4-1) defeated Riverton 48-0. Pay did not record any stats. Season Totals: No stats. Apu Ika (DT/OL, East HS, @Jackfish801). East (5-0) made a statement by defeating storied De La Salle (CA) 23-21 on the road. With two national wins East is poised to break into the national rankings. Ika recorded no stats. Season totals: No stats.